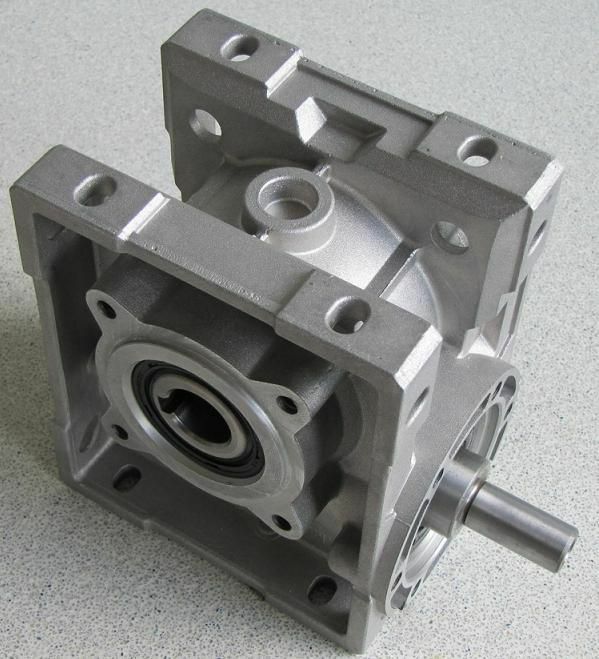 WormGearbox V40 i 1:5 Reduced Backlash | DamenCNC B.V. 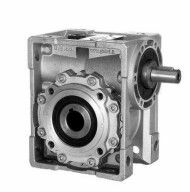 When using a rack and pinion system or a very high pitch ballscrew, sometimes you need a gear reduction with a higher ratio then you can easily achieve with a belt reduction. A worm gearbox can then be a good solution. For example our AC servo system can do 3000 RPM, if using a module 2 rack and pinion system and a 10 tooth gear one rotation of the wheel will already give 75mm movement. 75x3000 rpm gives a maximum speed of 225000 mm/min. Which is really too fast for any machine, a 1:20 reduction will give a better 11250mm/min. Do take into account that the bigger the gear reduction the less efficient they are. Keep in mind that under load, you also have a deviation, this is not backlash but stifness!